Need a good-time, silly excuse to get to Homecoming on November 3rd? 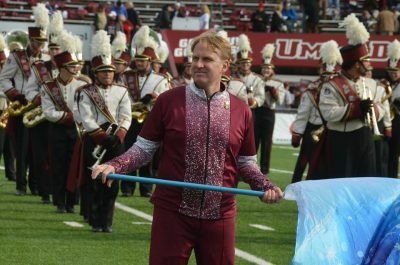 See Dr. Anderson march with the twirlers and Thom Hannum march with the clarinets at Homecoming 2018! 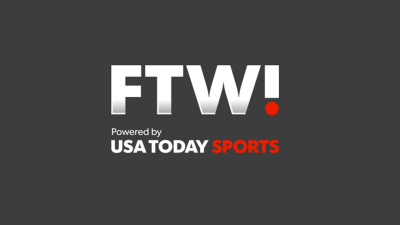 USA Today’s “For The Win” wants to know who’s got the best band anywhere! We know the answer, but we need to get the vote out! 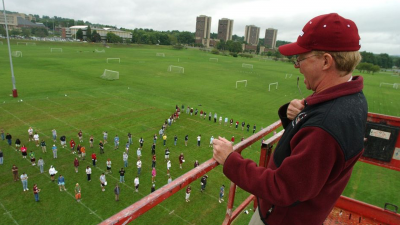 Come celebrate the amazing tradition of the Minuteman Band! Our annual Homecoming Reception is happening as part of the all-campus Homecoming Block Party on Nov 2! 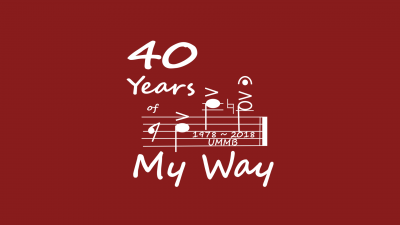 Celebrate 40 years of “My Way” with these commemorative t-shirts and glass coaster sets! 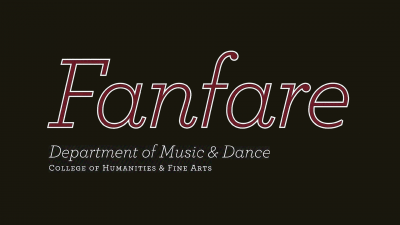 Proceeds benefit the Band Alumni Scholarship fund and Band Alumni Network programming. Did you march from 2000-2009? 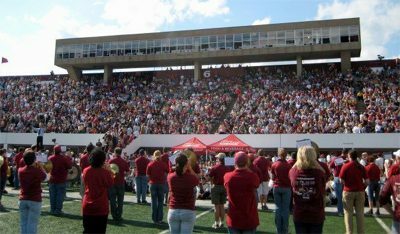 We want to YOU to choose which tune the 52nd Alumni Band will perform at Homecoming 2018! 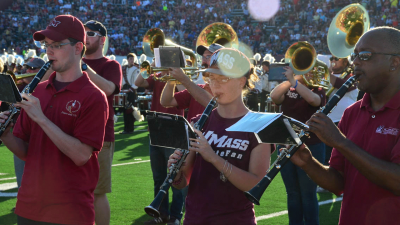 We’re excited to offer a number of activities for band alumni and your families at Homecoming! 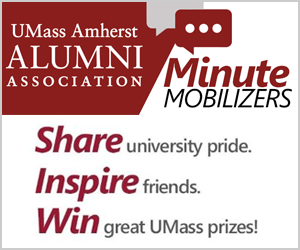 Here’s your one-stop guide for UMMB fun!! !